MapR Converged Platform including Apache Spark, Apache Drill, MapR-DB, and MapR Streams. 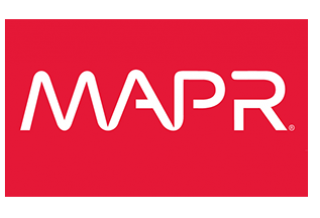 MapR Converged Enterprise Edition Plus Spark includes 24/7 support for the MapR Converged Enterprise Edition. ***IMPORTANT TO LAUNCH PROPERLY YOU MUST USE A CLOUD FORMATION TEMPLATE. READ USAGE INSTRUCTIONS BELOW AND CLICK ON THE LINK PROVIDED FOR INSTRUCTIONS TO LAUNCH YOUR CLUSTER. *** This edition provides a standards-based enterprise-class data services complete with high availability and disaster recovery features. All data modules are included - Hadoop, Database (MapR-DB), Streams (MapR Streams), and Apache Drill. Also included is advanced real-time and batch data processing with Apache Spark. With the browser-based management console, MapR Control System, you can monitor and manage your Hadoop cluster easily and efficiently.